Two of Johannes Vermeer’s most celebrated paintings will hang next to each other for the first time in 300 years as part of a new exhibition at Louvre Abu Dhabi. Young Woman Seated at a Virginal (The Leiden Collection) and The Lacemaker (Musée du Louvre), two paintings on canvas cut from the same bolt of cloth will hang beside one another in the institution’s first exhibition for 2019. 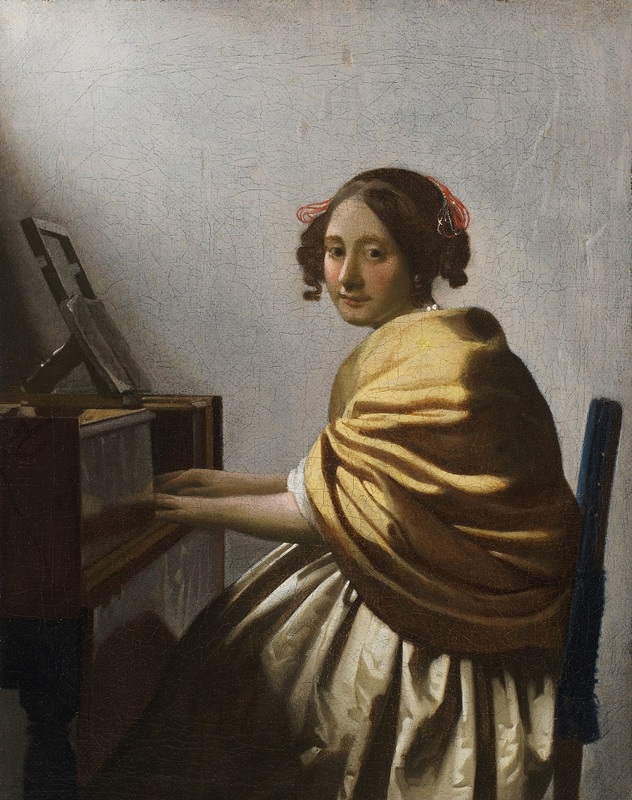 Rembrandt, Vermeer & the Dutch Golden Age: Masterpieces from The Leiden Collection and the Musée du Louvre, will bring together paintings and drawings by Dutch masters Rembrandt van Rijn, Johannes Vermeer and their contemporaries. The exhibition will survey Rembrandt’s artistic journey in Leiden and Amsterdam and his relationships with rivals and peers, including Johannes Vermeer, Jan Lievens, Ferdinand Bol, Carel Fabritius, Gerrit Dou, Frans van Mieris and Frans Hals. The exhibition will feature 22 paintings and drawings from across Rembrandt’s career and his workshop – from his early famed series of allegorical paintings of the senses to later works created in Amsterdam, including sensitively-rendered portraits and a renowned self-portrait, Self-Portrait with Shaded Eyes from The Leiden Collection. These works are displayed alongside paintings by other masters from Rembrandt’s artistic circle, demonstrating the influence that this remarkable group of artists had on each other’s work. Rembrandt, Vermeer & the Dutch Golden Age: Masterpieces from The Leiden Collection and the Musée du Louvre opens February 14, 2019.